How adorable is this little boys outfit by Stella McCartney. 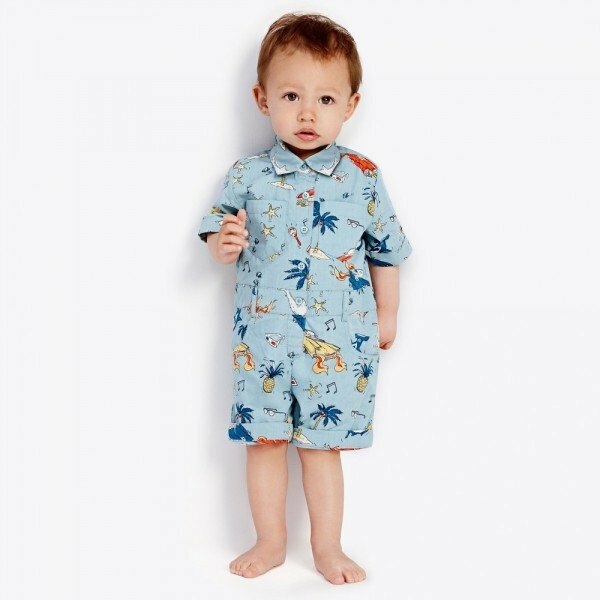 The perfect look for Spring Summer, this baby boys, very cute, blue shortie by Stella McCartney Kids made from crisp, cotton poplin. Inspired by the Stella McCartney Women's Collection featured on the runway at Paris Fashion Week. Ships Worldwide.